Signs of a problem: somebody else’s self-published book is very, very, very, very bad. The symptoms: irritation; superiority; sense of moral responsibility. A new novel catches your interest and you download a copy. However, the very first word contains a typo. You read on – the second sentence makes no sense. You turn the page – chapter 2 is missing. Not only have you wasted money on a book that is completely unreadable, but the author is disgracing the name of indie. Many people avoid independently published books precisely because they expect them to be badly written, and here is an author confirming the stereotype. Stop and think about the situation carefully. How bad is the book really? If it’s just a few innocent typos in an otherwise excellent story, then reflect on where you started out; remember that proofreaders are expensive and consider a polite email to the author asking if he or she would like a list of typos (most authors will be very grateful). If, on the other hand, typos are plentiful, the underlying writing is atrocious and the reading experience is excruciating, then a typo list won’t save the book. As somebody who cringes whenever I think of my debut novel, I try to think that no author is beyond salvation; no need to sever fingers just yet. This author just needs jailing and being taught to write. However, the police don’t take crimes against literature as seriously as they should. Therefore, we suggest sabotaging the author’s broadband connection. Ascertain the author’s address (see ‘Another Author Plagiarises Your Zombie Heptathlon’), break into their house and cut their phone cable with some wire cutters. Next, mug the author for their mobile. Watch YouTube videos until you’ve used up the data allowance, then post it back through the author’s letterbox. Whilst these measures won’t close all internet access avenues, they will pose a sizeable obstacle to publishing. Note: whilst the police don’t take crimes against literature seriously, they take a hard line on vandalism, breaking and entry, and theft. Proceed with care. I am in the process of setting up an indie charity. 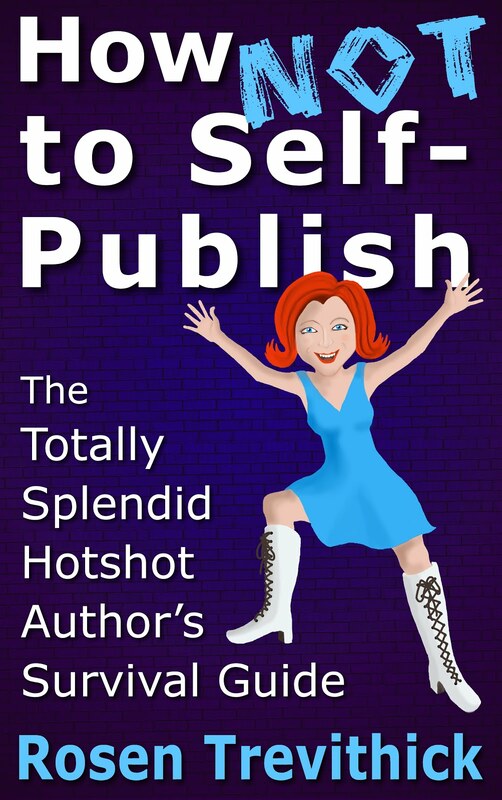 We collect money from successful self-published authors who want to protect the field. Then we spend our funds on dictionaries and grammar manuals for authors less fortunate than ourselves. Once my charity is registered, you will be able to look up details of how to become a stealth dictionary delivery guy.